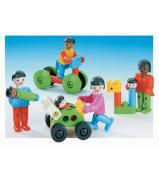 This PolyM Playworld Farmyard set consists of 188 pieces and comes with stickers and instruction booklets. 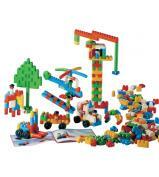 The pack is suitable for up to 6 children who can simultaneously make a variety of farm animals and structures. 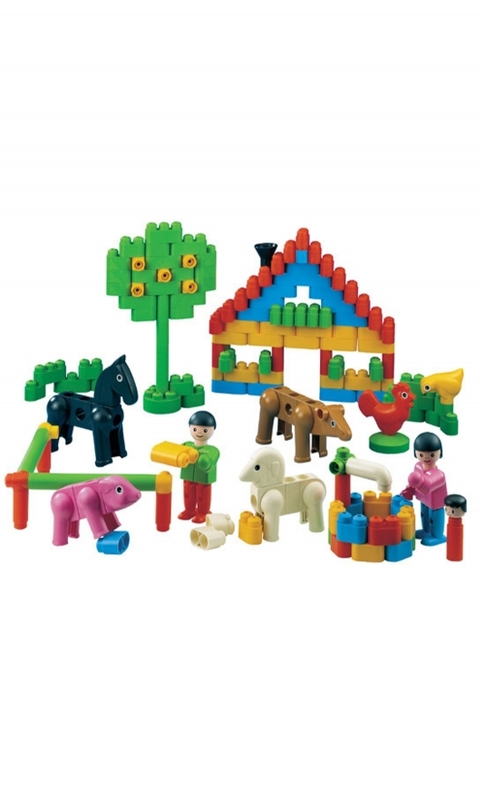 The set contains 4 farm animals plus a hen and cockerel, 2 farmers and a child. 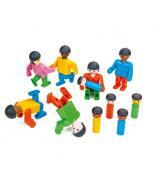 This set is fully compatible with all PolyM sets.